Fr. 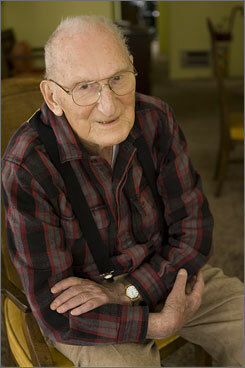 Andrew M. Greeley Roman Catholic priest, scholar and writer died May 30, 2013 at the age of 85. Fr. Greeley wrote over 50 bestselling novels and more than 100 works of non-fiction including countless articles about Catholic theology, politics and the environment. He garnered most of his readers from his many novels about Vatican intrigues, immoral priests and middle class Irish Americans. Some of his more popular novels include The Cardinal Sins, the Nuala Anne McGrail novels including Irish Whiskey and the Bishop Blackie Ryan novels including The Archbishop in Andalusia. His two autobiographies, Confessions of a Parish Priest and Furthermore! were also noteworthy. Author Vince Flynn died on June 19, 2013 from prostate cancer at the age of 47. Flynn was the best-selling author of the hugely popular Mitch Rapp series. Flynn wrote a total of 15 books all but one, his first, Term Limits, features Mitch Rapp, the undercover CIA Counter Terrorism agent. Vince Flynn was born in April 1966 in St. Paul, Minnesota. He was diagnosed with Dyslexia at age 12. He received more than 60 rejection letters while trying to publish his first novel Term Limits. He then decided to self-publish the novel and sold copies out of the trunk of his car. The character of Mitch Rapp was created in his second book Transfer of Power. His last book Survivor (book #14 in the Mitch Rapp series) will be published October 2013. It is my sad duty to report that Harry Bernstein the author of one of my favorite books of the last few years The Invisible Wall passed away on June 3. If you haven’t yet had a chance to read it I highly recomend doing so. The Invisible Wall is a memoir, published when Mr. Bernstein was 96 years old, of his early life growing up in a lower class English neighborhood around the time of World War I. It’s the story of a street where Jews lived on one side and Christians lived on the other, and the invisible wall that separated the two. It’s also about the war and a love and other events that would, temporarily, bring down that wall. Who hasn’t read the book or seen the movie Love Story? It was a mainstay of 19 70s literature. It is with sadness that I learned that Erich Segal passed away today from a heart attack. He was 72 years old. Read the obituaries from the New York Times and ABC News . Love Story the movie had a perfact cast: Ryan O’Neal, Ali McGraw, Ray Milland, and my favorite, the MG TC that Ryan and Ali drove around in. In addition to Love Story, Segal wrote a sequel, Oliver’s Story in 1977, which was also adapted for film. While Segal was classics scholar, obtaining a doctorate at Harvard and teaching at several ivy league schools, he will be remembered by me for writing Love Story and the script for the animated Beatles film, Yellow Submarine. I think that a viewing of Love Story is in order in the near future. I’m pretty sure I have enough tissues. 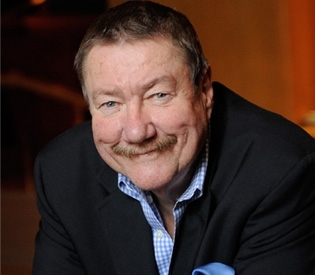 According to his publisher Robert B. Parker the prolific author of the Spencer series has passed away. Whether you enjoyed the crime novels or the made for TV movies featuring Tom Selleck you always got the sense that he and his character shared a tough guy shell and a soft heart. Here’s another author that will be missed. The year 2009 is the 200th anniversary of Edgar Allan Poe’s birth and many cities are celebrating the event. Baltimore is rectifying one shortcoming, however. Poe, who died in 1849, did not have a proper funeral. So, on Sunday, October 11, Poe’s funeral will get an elaborate do-over. Additionally, the Baltimore Museum of Art is hosting an exhibit “Edgar Allan Poe: A Baltimore Icon” with illustrations to The Raven by Edouard Manet. So, for all you Poe fans, don’t forget to look in our collection for your favorite story. It is with sadness that we learned of the death of Mary Travers of the Peter, Paul and Mary singing group. The music of Peter, Paul and Mary was a part of many of our lives. Read the New York Times obituary.